Cotterman® Adjustable Self-Closing Safety Gates can be used as barriers to prevent unintended egress through guardrail openings in accordance with OSHA 1910 Subpart D and ANSI 1264-2017 standards. 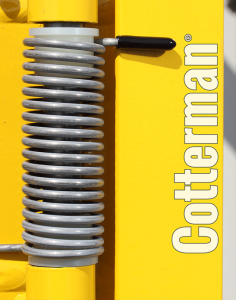 Any guardrail system with a personnel opening can be protected to OSHA standard with one of the two Cotterman® Adjustable Self-Closing Safety Gates. Cotterman® Safety Gates meet all applicable ANSI and OSHA standards. Versatile, can be mounted to round rail, square rail, angular rail of up to 2″, or a firm reinforced wall surface. Stainless steel spring closes the gate after each pass-thru. 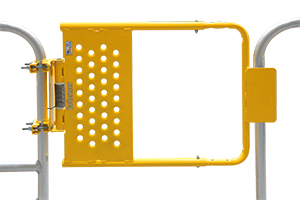 Gate width is available in two adjustable size ranges to fit openings of 16″ to 26″ or 24″ to 40″. 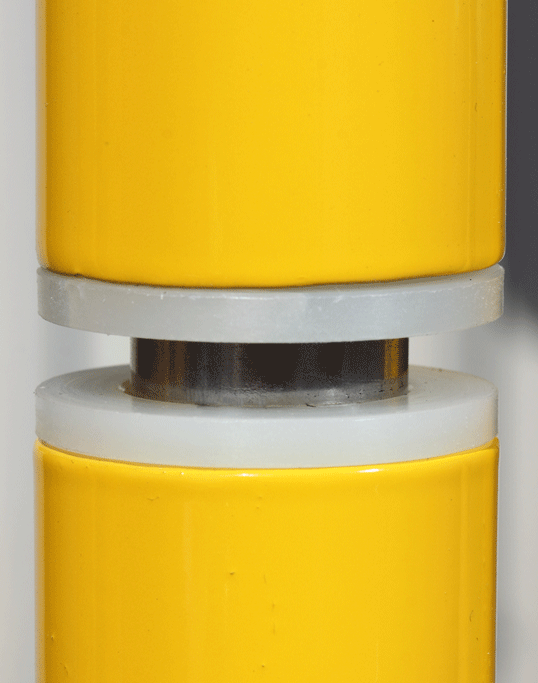 Gate width is adjustable in 2″ increments. Available in safety yellow or gray powder coated finish with zinc rich powder coat primer for corrosion resistance, or stainless steel construction. Tested to over 1,000,000 cycles without spring failure or hinge degradation. 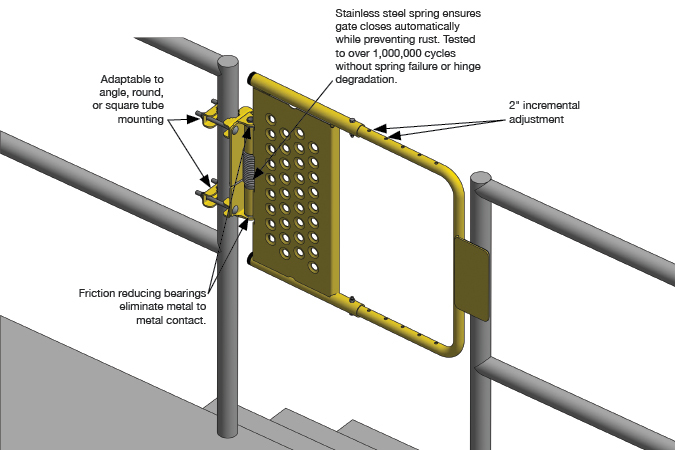 Stainless Steel spring ensures gate closes automatically while preventing rust.